Every time I’m feeling a bit down between now and forever I am going to look at this photo! I know I am biased but my word they’re cute! 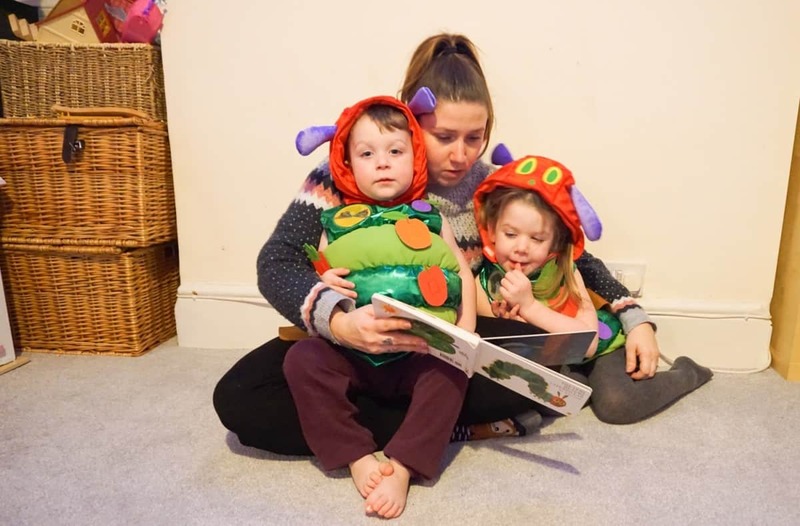 We were sent these Very Hungry Caterpillar costumes in advance of world book day (you can buy them from TU at Sainsbury’s and online) and I LOVE them! 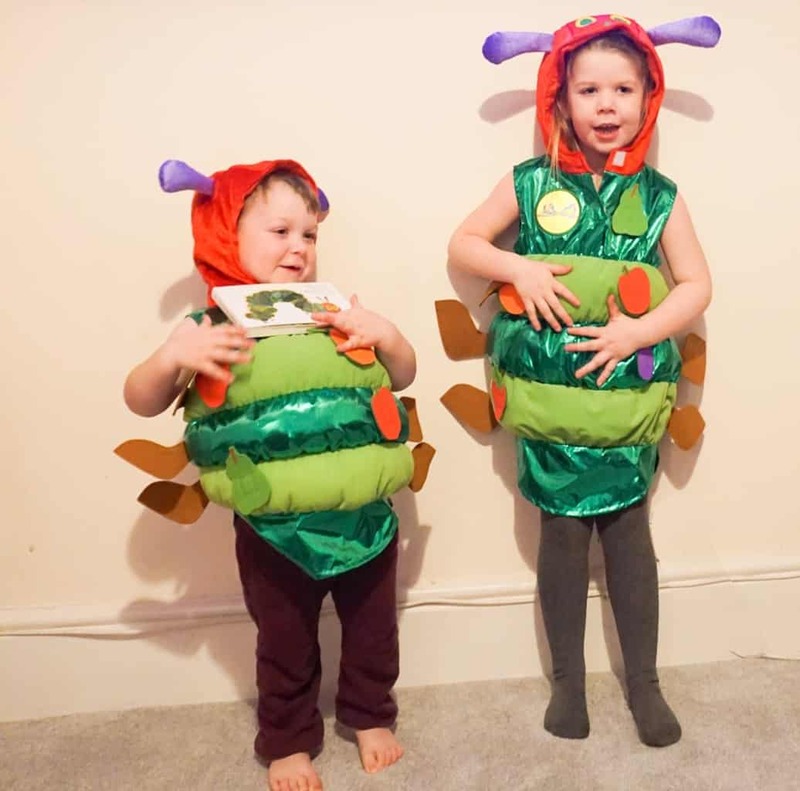 They’ve got removable bots of fruit and the kids have had great fun chasing each other round the house trying to stick them on each other, or steal them off each other’s costumes! Perfect for world book day coming up on the 1st March! …so that was a fun inset day! The rest of the week shot by as Athena was back at school, but we had a lovely day at a friends for the day yesterday, and we’re off on a trip to see Donna and her family today! Here’s last weeks weekly vlog too!